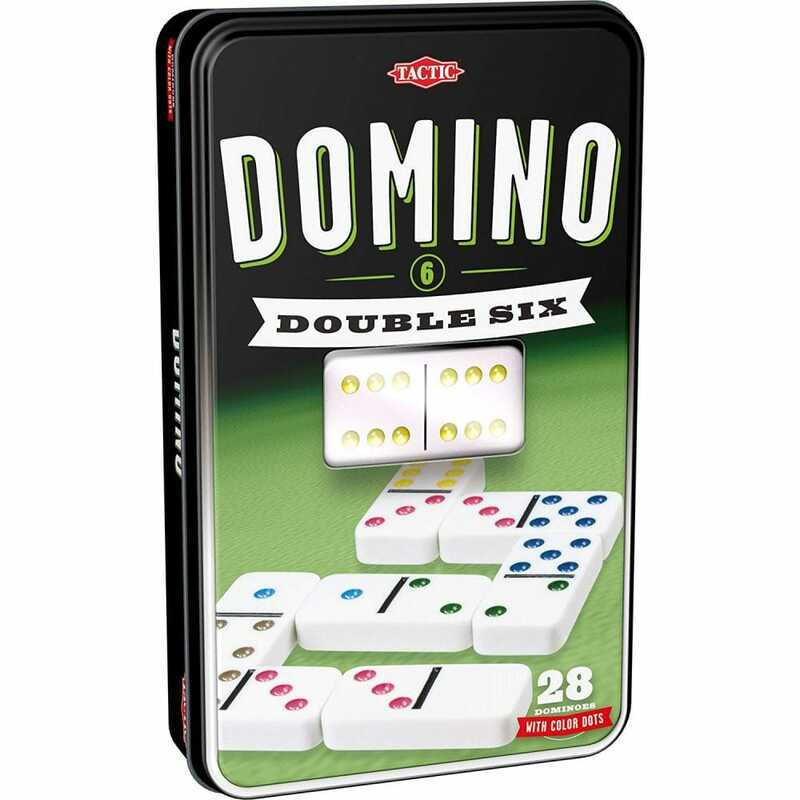 The tin includes 28 dominoes with coloured dots- making the game easier for everyone to play. You start by laying your tiles in long chains, and try to be the first player to have no tiles left! If you manage to get rid of your tiles before the other players you will be the winner. The clear rules make the easy and fun for even beginners. This set comes in a durable tin box. Suitable for children five years plus.